Dissapointing Stay - NO A/C, Bugs & Barking Dog! The large apartment was nicely furnished located on the second level. We felt the kitchen was sparceley equipped (no microwave, and toasted, NO wine glasses?? ?, no water kettle, ice cube tray, dishsoap, and no paper products). There was only one trash receptical in the entire house which made it inconcenient. WiFi worked intermittently AND only one devise could be connected at a time. There was a nice (narrow) Terrace outside the living room though the barking dog next door made it impossible to enjoy. When we opened the windows the mosquitos, wasps, and hornets descended into the apartment making it impossible to get fresh air. My husband requested 2 fans to survive the stiffleing temps and humidity, which the owners located. We had to move the fans each time we moved around the house just to tolerate the heat. The floors throughout the apartment were dirty to walk on so I started my first morning out sweeping the entire household. We decided to leave a day early to escape the mosquitoes and sleep in our own bed with peace and quiet! It is more a luxury villa with beautiful building, grounds, balconies, portico and views. The interior is spacious and decorated true to it's heritage. 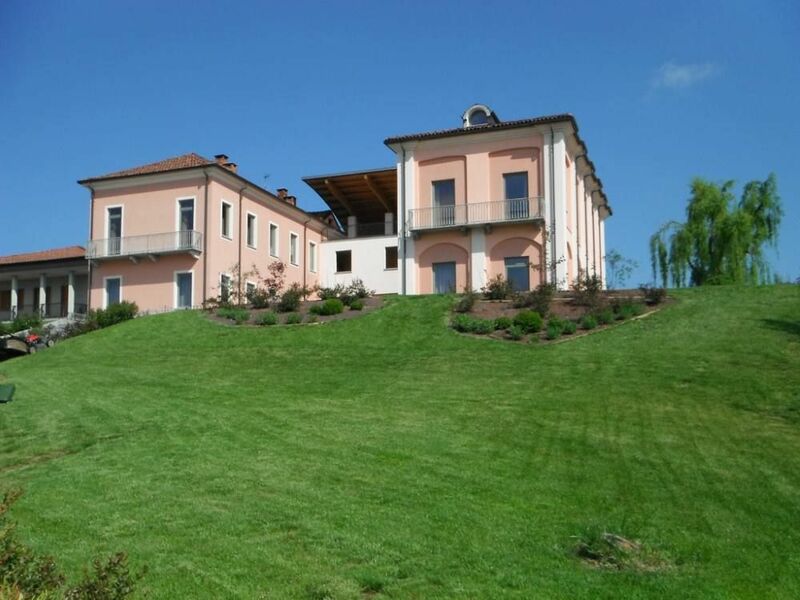 Exceptionally easy to get to by car with the Asti west exit of the Autostrada 3 minutes away. Plenty of secure convenient parking. Host, Valter is on site and interested in making the stay pleasant. his colleague Selenia arranged a marvelous cooking class for us. My wife and I spent 9 days here during Palio d' Asti 2016 and could not have made a better choice. "We had an outstanding stay using this apartment to visit Asti, Turin, and the Lange wine region. The apartment is very large and the Owner, Valter, went out of his way to provide outstanding service - well beyond expected. We definitely would use this apartment on future visits to the region and highly recommend it to friends and others. Excellent, clean accommodations and pleasant, helpful staff. Highly recommended!" L’ alloggio rispecchia pienamente la descrizione dell’ annuncio. La proprietà e circondata del verde possiede un ampio garage e tutto e curato in maniera impeccabile. All’ interno l’appartamento è molto spazioso e confortevole, personalmente ho apprezzato molto lo stile degli interni che ti fa sentire in una vera villa dell’ 800. Wi –fi, Lavatrice ,Cucina con tutti gli elettrodomestici, stoviglie biancheria da letto asciugamani sono compresi . La casa è appena fuori Asti ma bastano 100m a piedi per poter usufruire dell’ autobus di città se non si vuole usare l’automobile . GRAZIE per la vostra accoglienza, arrivederci a presto. El propietario muy amable, todo correcto, la casa es muy amplia y agradable. Cette location est vraiment géniale. L 'appartement qui fait environ 110m2 est dans un état quasi neuf ( murs et mobiliers ). La cuisine est équipée et très spacieuse. Il y a deux très belles salles de bains dont une avec lave-linge. Les serviettes de bains et les draps sont inclus. De plus il y a un parking sous-terrain privatif. La maison en elle-même est magnifique et est très bien entretenue. L' accueil était très bon et l'appartement très propre à notre arrivée.